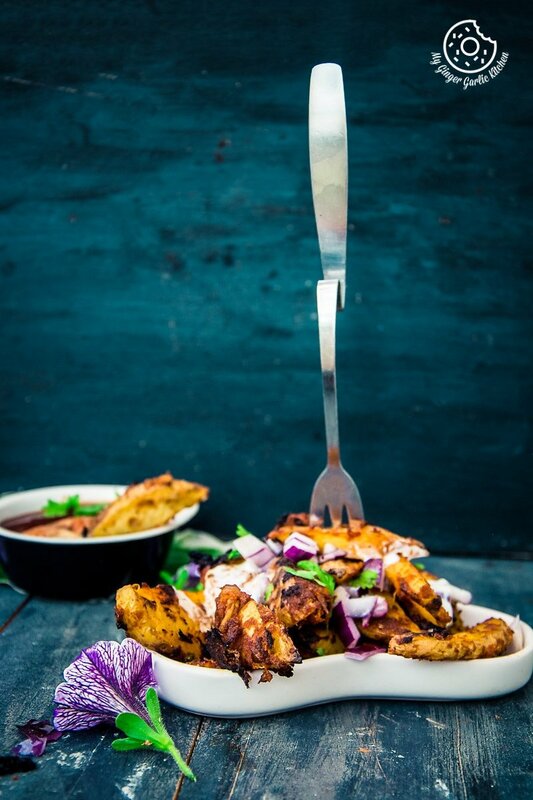 Baked Masala Potato Wedges | Indian Spiced Crispy Potato Wedges Recipe. 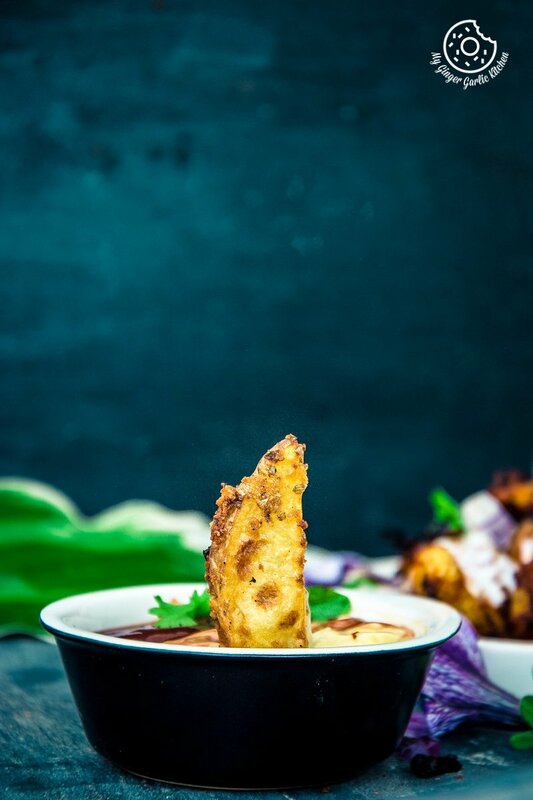 Simply bake the masala coated wedges. Then the natural yogurt gets drizzled over the baked potatoes. A sprinkle of chopped onions and cilantro, and a splash of lemon juice. Done. Lately, I have been observing the signs of the arrival of Autumn. Yeah, autumn is coming — visually and existentially. Visually, because trees have started changing the color so fast, and existentially because I can really feel the autumn like cool breeze. There is one more evidence that everyone else is believing that autumn has already knocked the door. The proof is that today it was a celebration for the arrival of autumn at little A’s kindergarten. All the parents and kids had fun singing and dancing with autumn songs. So I have a decent amount of reasons to say that Fall is finally here. In fact, I am loving this fact because Autumn is one of my favorite seasons. I really admire everything about the fall — especially the hues and shades of autumn leaves. Autumn’s here, so I have picked an autumn inspired recipe to share. It has all the brilliant colors of the season, and which is also so full warmness and comfort. Comfort is a must in autumn meals. 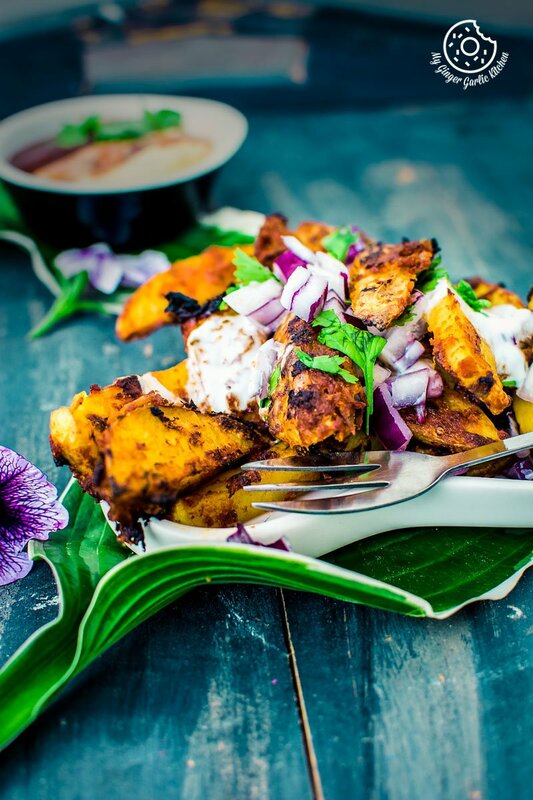 The recipe I am presenting before you is ‘Baked Masala Potato Wedges’. 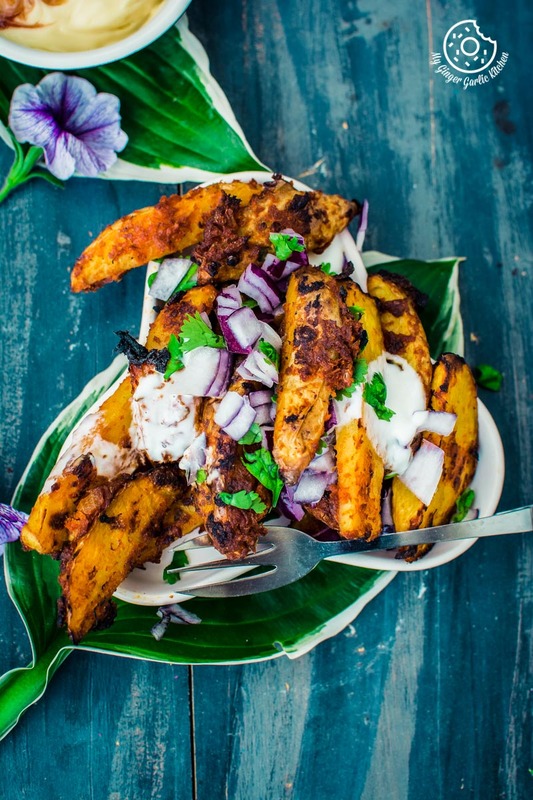 I have been wanting to share these masala potato wedges all summer long but I just couldn’t. The reason is pretty simple. I just felt that I should wait until the early September when the nights and morning started to get cooler to share this. And now everything I planned is here, so here I am with this long awaited recipe. I agree that it’s not completely full-swing Autumn yet, but this beginning of fall should be celebrated with something exciting. Isn’t it? 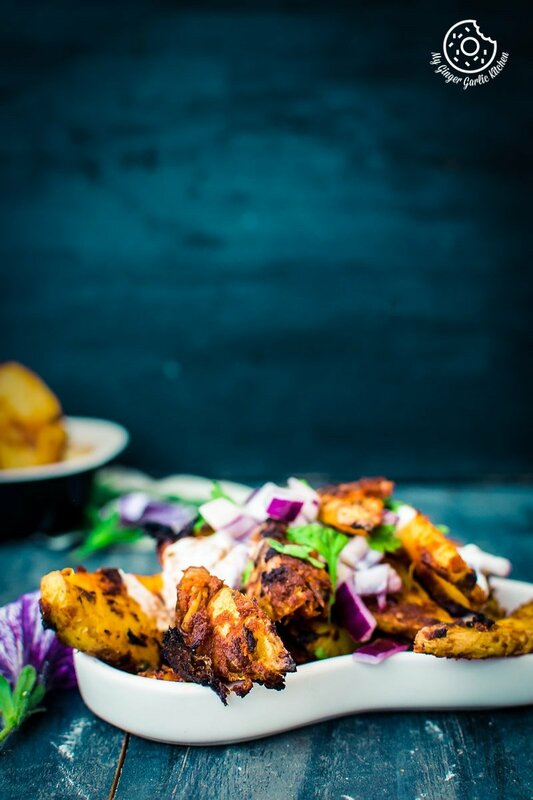 I ought to admit that I love potatoes in any form, but right now if you ask me to name only one potato dish I love the most, then I will name these masala potato wedges. 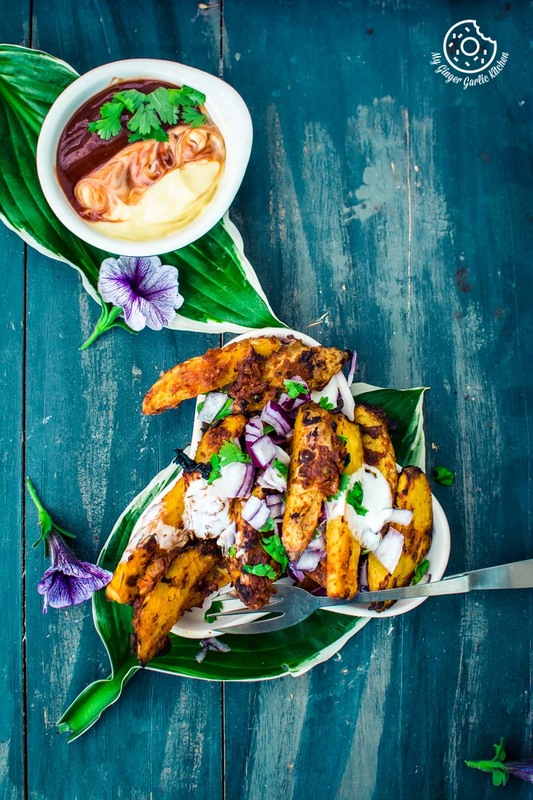 This combo of flavors in these wedges is just so good — a real treat for a spice lover. The spices and potato wedges make a great combo. They are definitely the ones you just cannot get enough of — you just want more and more of these simple and flavorful potatoes wedges. 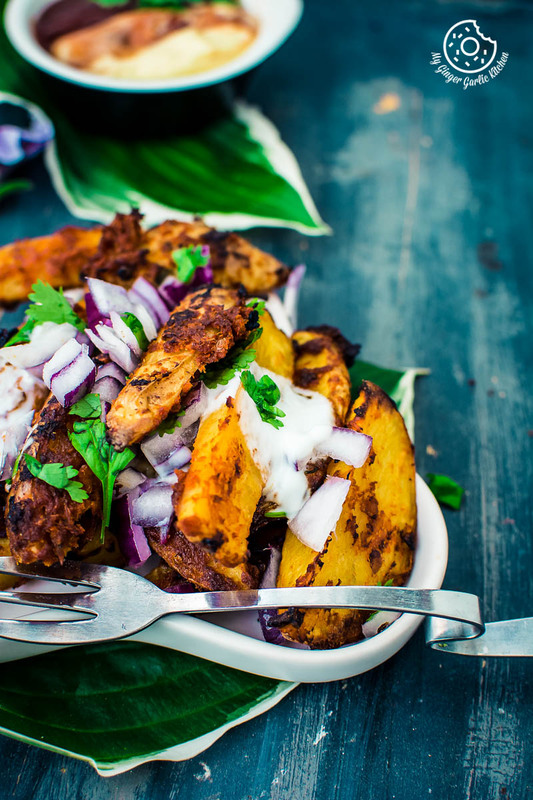 The onion masala is the perfect thing to coat potato wedges. 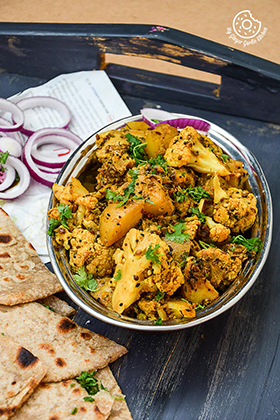 It adds just the right amount of spicy flavors without completely overpowering the native taste of potatoes. Making them is pretty easy. Here’s how. Make masala then coat the wedges in masala. 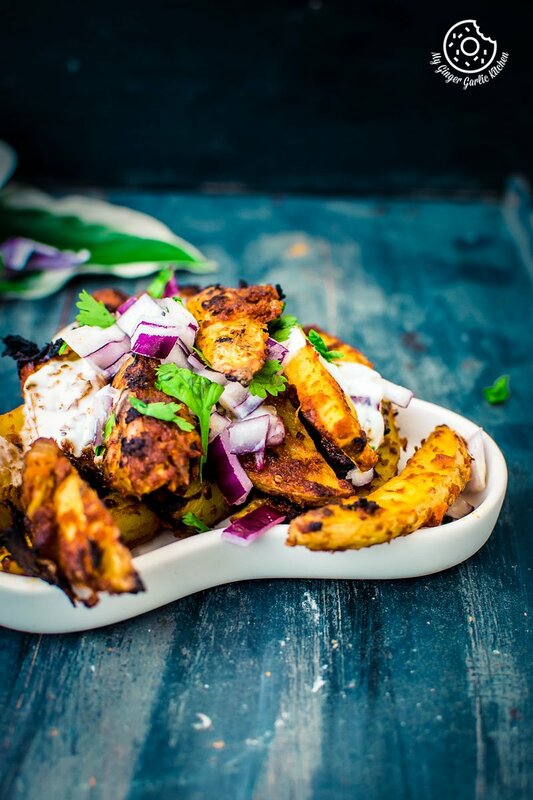 Simply bake the masala coated wedges. Then the natural yogurt gets drizzled over the baked potatoes. A sprinkle of chopped onions and cilantro, and a splash of lemon juice. These 3 ingredients together provide the best flavor for these wedges. 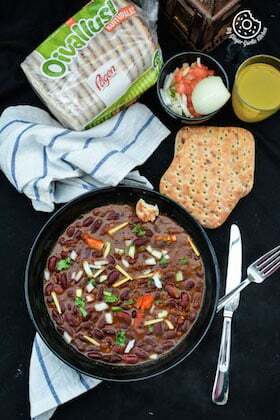 If you are afraid of chili, then simply omit it from the recipe. But I personally love the flavors which come from the combo of chili with other spices. I assure you that the potato wedges are going to be amazing with or without chili, so feel free to add or omit it. All in all, I just LOVE these potatoes. They’re complete comfort food, yet they feel so perfect for autumn. These potatoes look super pretty. Plus, they are not deep fried, so can be considered as usual healthy food. Isn’t it? Last Friday hubby dear requested these wedges for snacking, but it was late. Nevertheless, we had them for dinner. Yeah, they were so filler along with some freshly baked garlic bread and a bottle of red wine. This made just a cozy enough meal to warm us up on a fall-ishly cool weekend night. 3. Add chopped onions and sauté for a minute. 4. Add chopped ginger, grated garlic and fry for 4-5 minutes. 5. Add tomato puree and stir well. Cook for 2-3 minutes. 6. Add in the Kashmiri red chili powder, turmeric powder, coriander powder, salt, and garam masala powder. 7. Stir continuously and cook for 3 minutes, until tomatoes are cooked. 8. Add 1 tbsp tomato ketchup, 1 tbsp yogurt, coriander powder and stir well. 9. Cook for another minute and add potato wedges to the pan and stir until evenly coated. 10. Line baking tray with aluminum foil, or a parchment paper. 11. Place the potatoes on the baking sheet and bake on the middle rack for 25-30 minutes. 12. Take the tray out and turn wedges over and bake for another 25-30 minutes or until potatoes are cooked and crisp. 13. 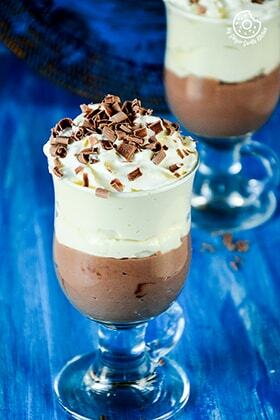 Drizzle some yogurt on top. 14. Garnish with chopped onions, and chopped coriander leaves. 15. 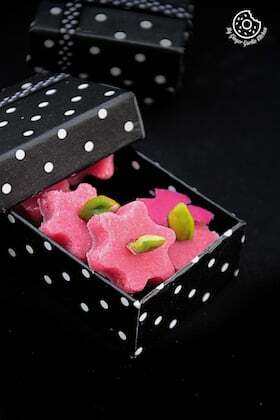 A squeeze of lemon juice and enjoy.